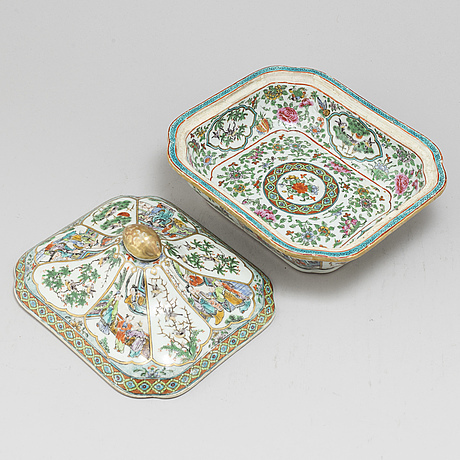 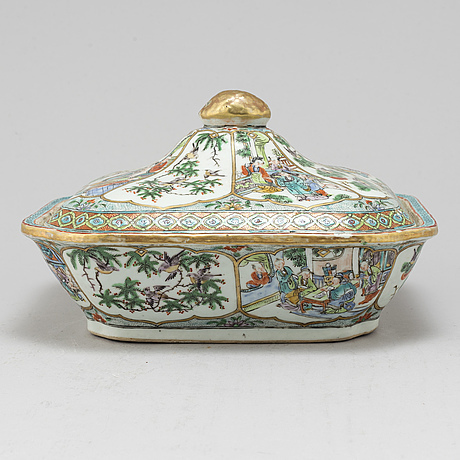 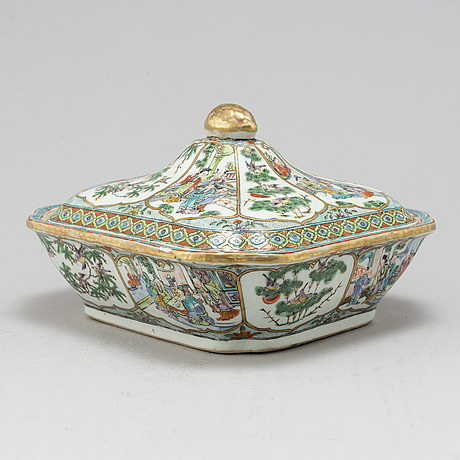 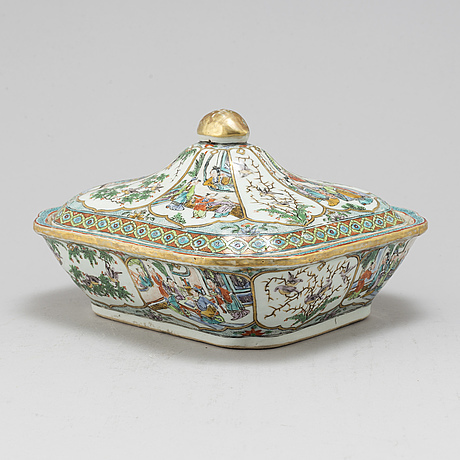 A Canton vegetable tureen with cover, Qing dynasty, 19th Century. 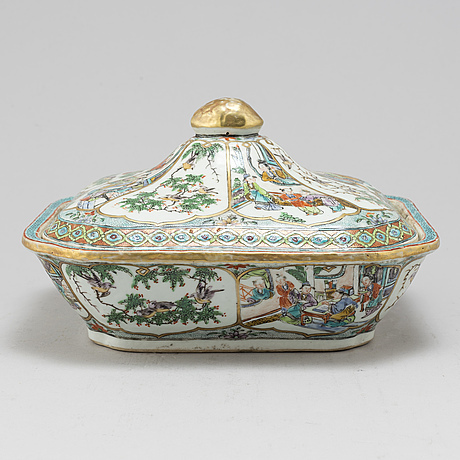 Pillowshaped, decorated with figure scenes. 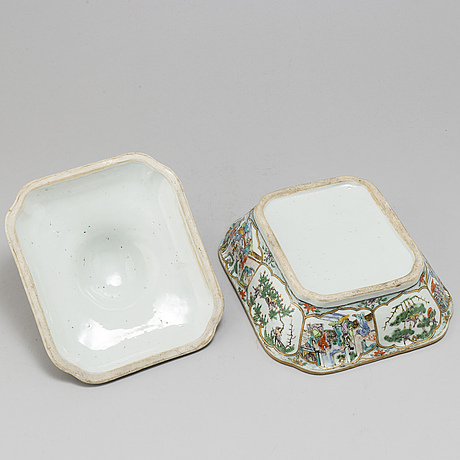 Measurement 23x26 cm.